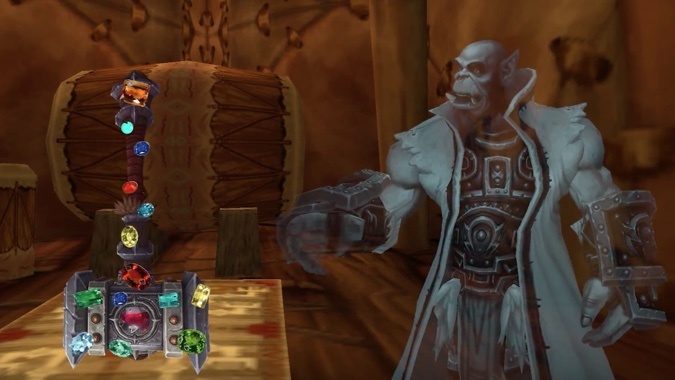 What happens when Illidan and Gul’dan get together for a little chat? That’s the question Slightly Impressive tackles with this behind-the-scenes feature of the upcoming expansion. If we’re truly honest, I think we all expect exactly this scene out of the demon hunter horde. It’s been a while since I’ve been reviewing machinima and filk, so somewhere along the line, I missed the massive upgrade to Slightly Impressive’s tech chops. The voices in Legion Sneak Preview are crisp and clean, without any of the tinniness that occasionally plagued their early efforts. And while the video’s animation is restricted to mostly character movements, nothing in the graphics interrupts or interferes with the scripts. At the end of the day, this is a great format for delivering a handful of dad-joke worthy gags. This video buries some awesome punchlines in the middle of its script, but the final minute is hilarious for anyone out there with a mini-me. I’ve also chosen my paladin’s ultimate weapon, thanks to the excellent tutelage of this video. Make sure to watch it all the way through.